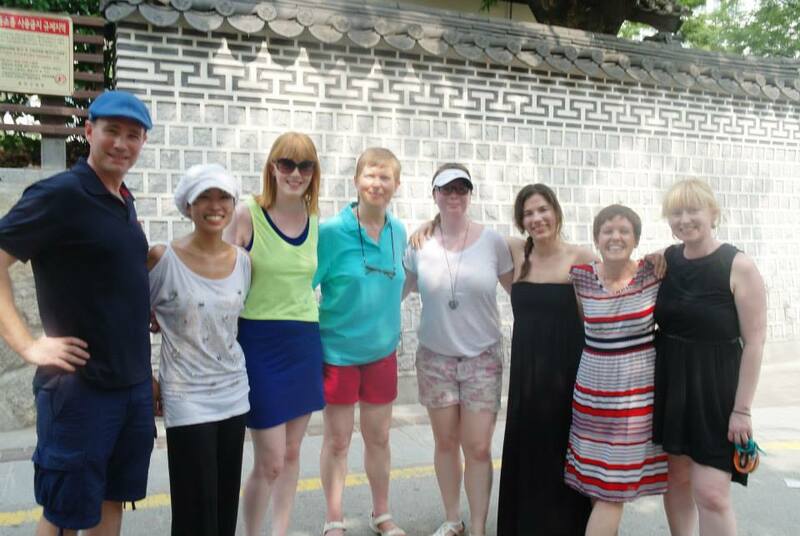 Get involved with Irish music in Seoul! 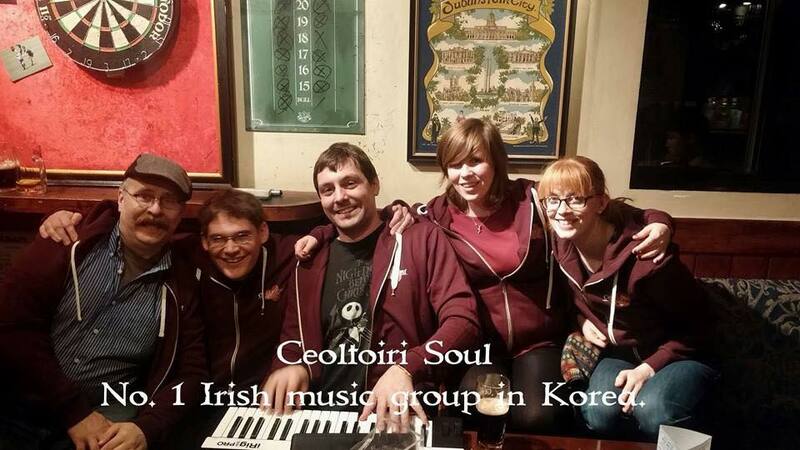 Lately, I’ve had a lot of messages and emails from people interested in getting involved in Irish music in Seoul. I definitely won’t complain about this. It’s great to see the progress that Irish music is making here. 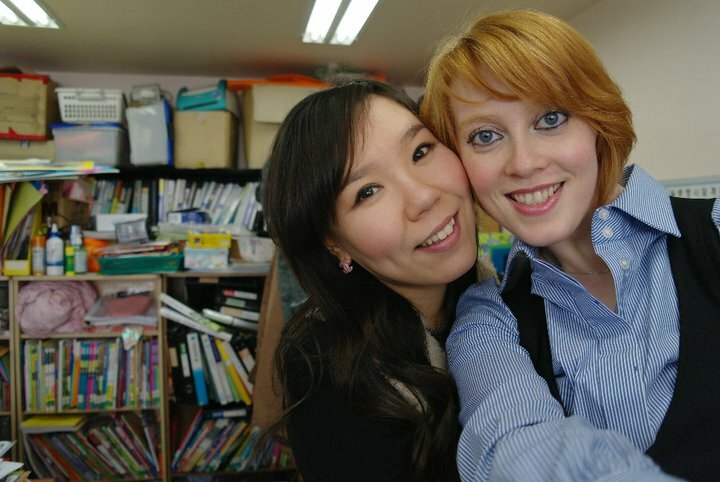 When I started playing in Seoul, we were hard set to find a place that would hold a session. Now, we literally don’t have enough time or people to keep up with the demand. If you play Irish music, sing or dance, you’re always welcome at one of the many sessions that happen in and around Seoul. Your first port of call should be the “Irish music in Korea” Facebook page. Request to join the group and then you’ll be up to date on the sessions that are happening. Generally, every second Friday night, there is the Tulip Session in Myeongdong. Once a month, we have a session in Dublin Terrace in Gangnam. 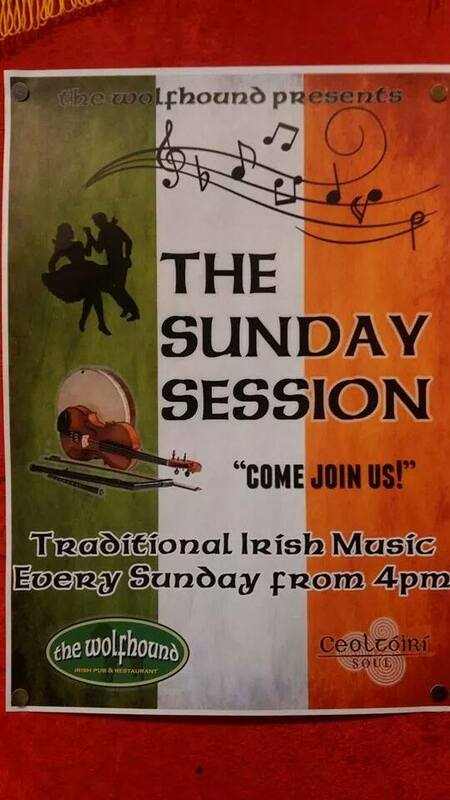 Finally, we have the weekly Sunday Session in the Wolfhound Bar in Itaewon. It starts around 4pm and ends around 8pm. This is my favourite session for so many reasons. Some of the best sessions I’ve ever had were in the Wolfhound. 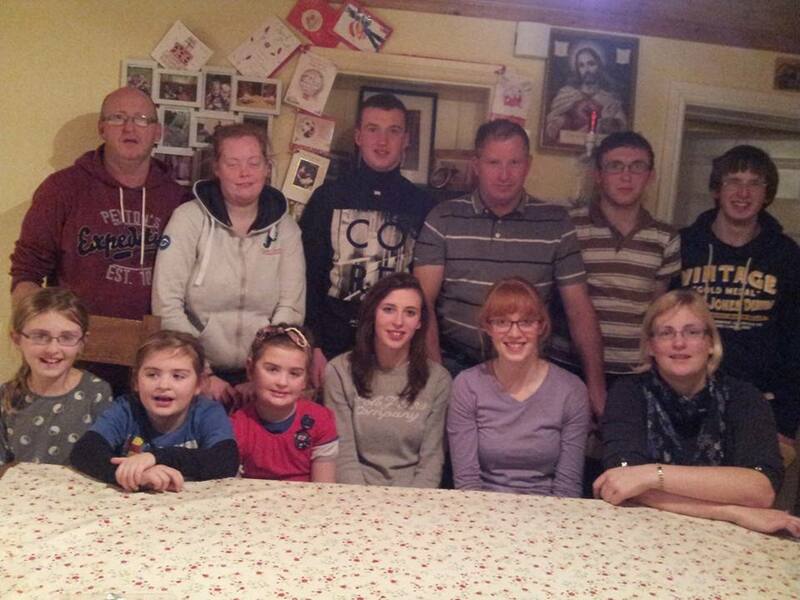 A few thoughts on my Christmas in Ireland. Like most expats my age, I ask myself the same questions every September, “Where will I go for Christmas?” The past few winter breaks have been spent swaning around South East Asia in the sunshine so Ireland, with its mild, rainy weather wasn’t too high on the list. The same thing happens to me in May as summer holidays are planned and again the same problem arises. With so many countries within reach, both financially and time wise, I came to the horrifying realisation that it had been almost 3 years since I returned to the Emerald Isle. This September, there was only one answer to my annual question, I had to go home. There was no reason for me avoiding it, I have a great family, great friends and there’s no place like home, I guess I was just fulfilling a desire to see as much of the world as I could while I had the chance. While three years is not a long time, it’s long enough to hear the talks of the “state of the country” the lack of jobs, to read the frightening emigration statistics, and to realise that most people I went to school and university with were no longer in the country. 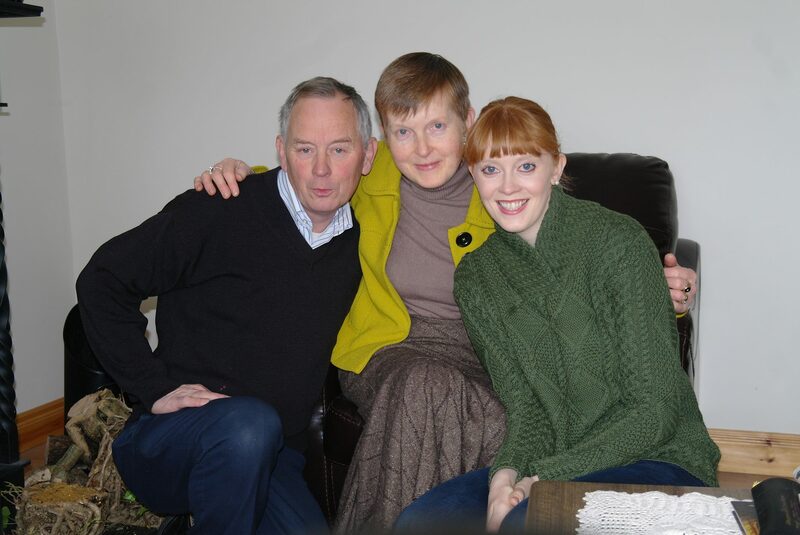 So with all this in mind, I had worked myself into a flurry of doubt about whether or not I would know anyone in my area, if it would all be sadness and misery, the effect the recession had on my own family and community and if what made Ireland Ireland would still be there. I arrived back on a stormy, wet, miserable Friday afternoon which made me want to get back on the plane and go to Thailand but knowing that my father and sister were outside, I stayed. When I arrived home 3 hours later, the first realisation dawned on me. Nothing had changed. Nothing. Everything and everyone was exactly the same but a little older. 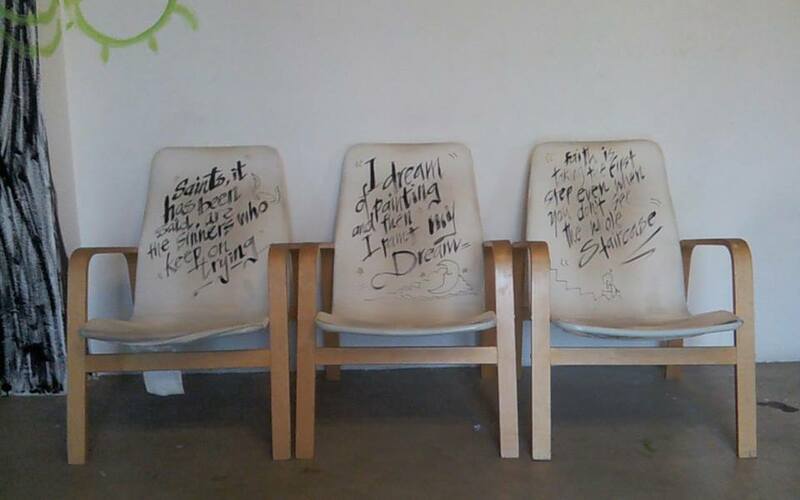 Even my grandfather was sitting in the same chair I had left him sitting in 3 years earlier. It was like walking back in time. My kitchen still smelled like mum’s brown bread, there were fresh apple tarts on the counter, the Roses tin was a mix of actual roses and other random sweets and as usual, the kettle was on. My family all came round and were all still the same but of course, older.The only absence was my grandmother who passed away shortly after I moved to Korea a few years ago. 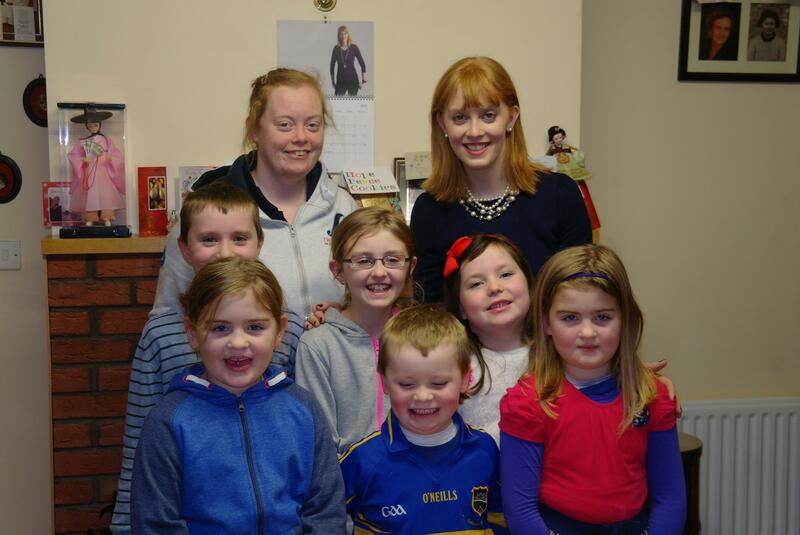 I was particularly surprised by how much my little cousins had grown. The smaller ones had very little recollection of who I actually was but that’s what happens when you leave when they’re very young. I was astonishing to see them play music, play 7’s, read books and play video games when they could barely talk the last time I saw them. I couldn’t stop them talking this time! I kept complimenting them on how great their English was! 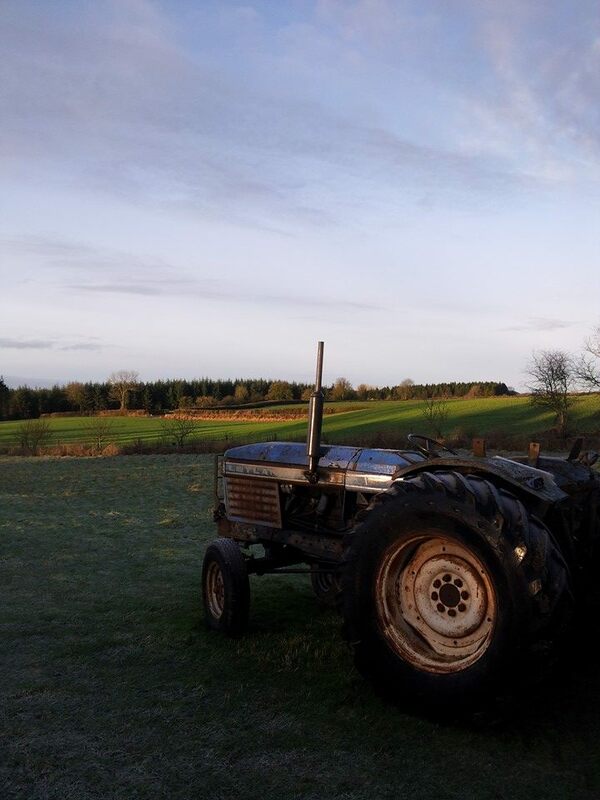 Living in a country where open space is in short supply and the building are all high-rise with flashing lights, it was a welcome change to be able to put on a pair of wellies and walk for hours through the acres and acres of farmland that surrounds my house. It was on one of these walks that I realised how lonely it can be. 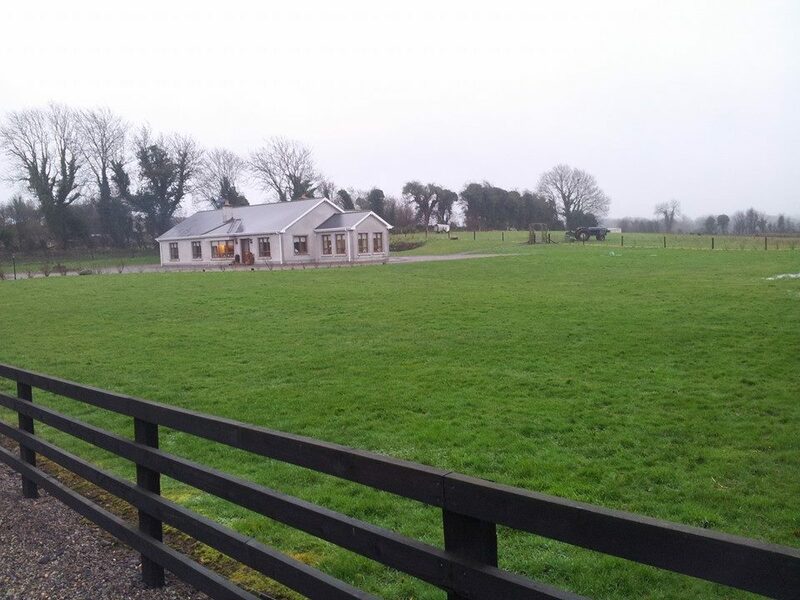 You might not meet one person from one end of your walk to the other and to imagine that this is the reality of rural Irish everyday was a scary thought. The whole place seems to have emptied of people. Music was the other absolute must on my Ireland bucketlist. 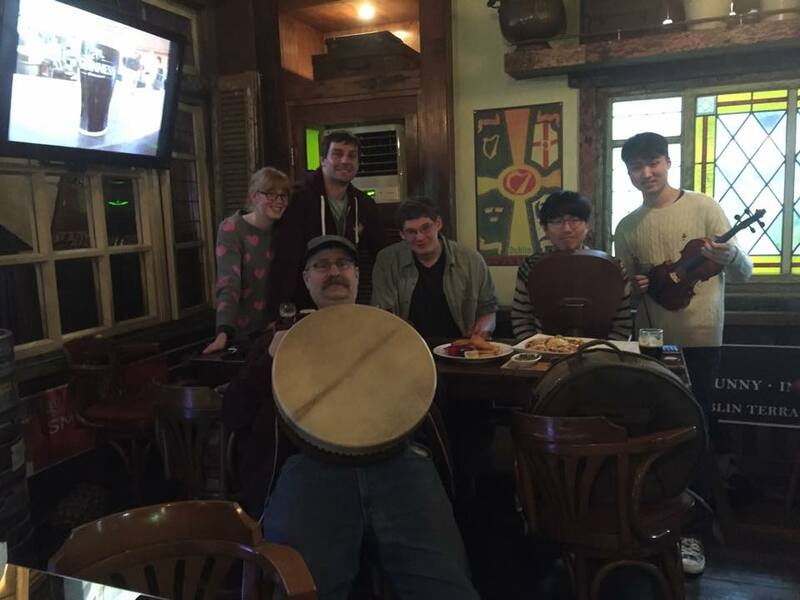 Playing music with people who have been playing Irish music their whole lives is the single greatest thing I miss about living in Korea. It’s slightly shameful that I only learned one reel during my week at home but it was such a delight to have a session in my house. While I play here in Korea, there is nothing like playing with people who have been playing forever. It was so lovely to see how they all communicated in a non verbal way with each other and played different variations to tunes and so on. Here’s a video from the house session; House session Honestly, I thought that the standard of Irish music was a lot higher than I remember it when I last went to Ireland. My little cousin played a reel on her whistle that almost made me cry. To be able to play reels like that at 8 makes me wonder what she’ll play for me on my next trip home. One of my neighbour’s children sang a medley of songs with his guitar (that he had only been learning for 7 weeks) in a pitch that would put most people to shame. The sound of two concertinas met me when I visited another neighbour in a house where the mother and both of the children play music. Even my own mother, gave me a few tunes on the concertina one morning. This is the same woman who gave my sisters and I every musical opportunity while we were growing up and only took up music when we started to move out. It seemed like everyone I met was somehow involved in the Irish culture whether it was the music, dance or GAA and I guess it’s a positive effect of an economic downturn. Any worries I had about not recognising anyone were unfounded as the familiar faces of the past greeted me with a ” you’re the one in Korea, right?” Everyone was interested as to what life was like in Korea, how the weather was, how my job was going, how the music was going. The local town, however, was deathly quiet, the businesses I once knew either downsized or not in existence. People of my age were simply not around but those who were had good jobs and were doing really well. People in general seemed more friendly than I remembered and Dad put it down to the fact that when you lose everything you start to remember the important things like being nice. I can’t say for sure. Even though there really is no place like home and I enjoyed my time immensely, I must admit I was glad to come back to Korea. I had forgotten how laid back it is in Ireland and found myself unable to go without doing something for 5 minutes. The life there was so quiet that it was comforting to know that I was returning to a job and a great circle of friends. Hopefully it won’t be as long before I return home again. 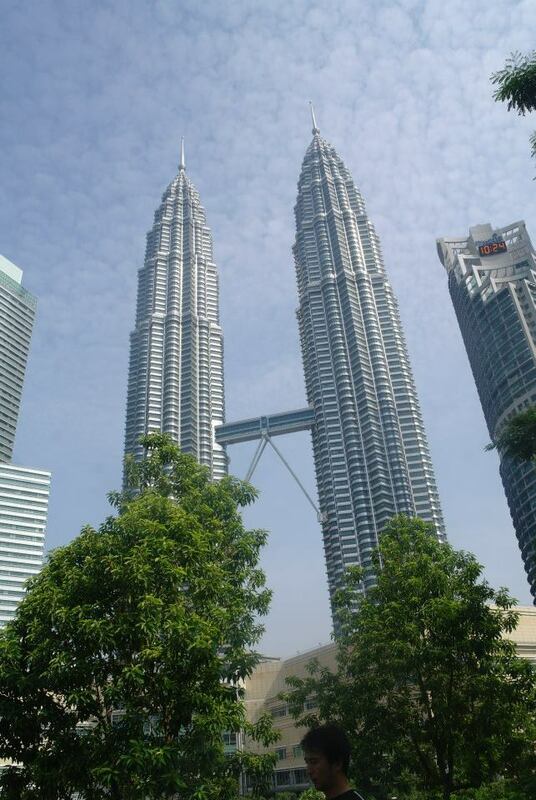 Kuala Lumpur- A flight, hostel and a sense of adventure. I had only a cheap flight, a hostel booking and my backpack. The few weeks before the trip were packed full of school stuff, music and between this and that, I hadn’t made any solid plans other than playing music at a session there. Arriving on Saturday at low cost carrier terminal (as opposed to KLIA, the international airport), I found the transport to the city plentiful and cheap. An hour later I was checking in at my amazing hostel, POD’s which is a very short walk to KL Sentral. The sessions was organised for Sunday in a suburb of KL. Arriving slightly early, I found the opportunity to explore this most random suburb, take some pictures and eventually rest with a pint. 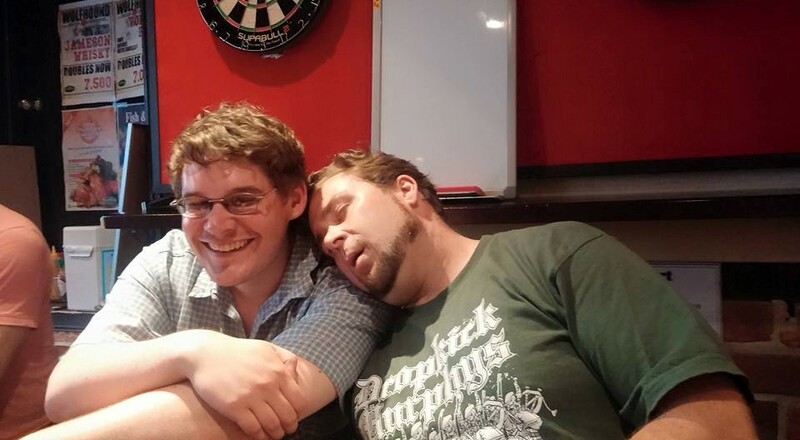 I didn’t know what to expect when it came to the session. 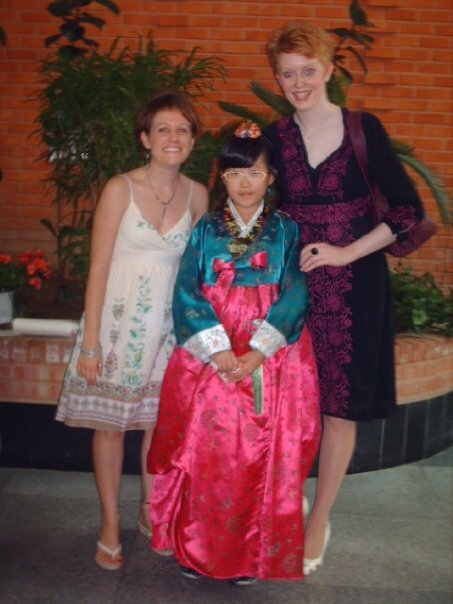 In Korea, it’s a very casual thing but this was no longer my territory so I was slightly nervous about the whole thing. But any excuse for a few tunes so off I went. And what a great afternoon I had. Cher Ly (the organizer) was well organised, knew lots of tunes and the native musicians seemed to know each other very well in general. Surprisingly though, it was their first session so it was quite a privilege for me to be there and enjoy some tunes with some excellent, top class musicians. That was as far as my plan went. When I woke up Monday morning, I had nothing to do and 5 days to do it! Off to the travel office to collect a map, a guide-book and clearly the towers were right up there on the top of my list. I don’t know what to say about the towers. Super easy to find, I literally couldn’t stop looking at them! They are incredible. You can go to the sky bridge but it costs something like 80 ringgit to go there and you only go about half way up. 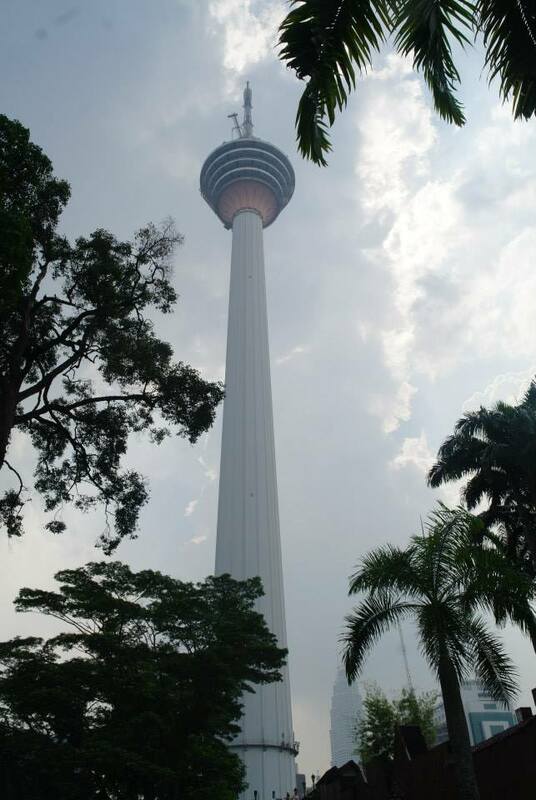 I did go to the top of KL Tower though. 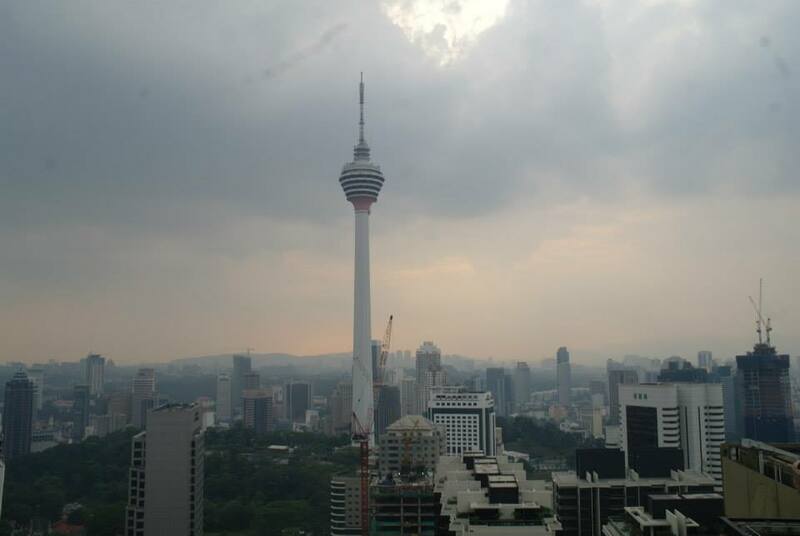 KL tower is a little more difficult to find. It’s a nice walk from the nearest monorail station but as long as you follow the other foreigners you’ll be ok! 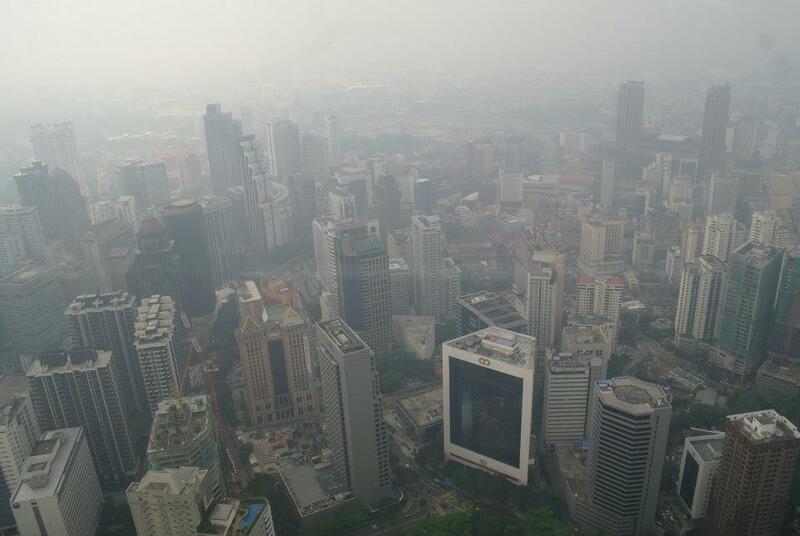 It’s only 45 ringgit to go to the top but unfortunately it was a little hazy when I went up. 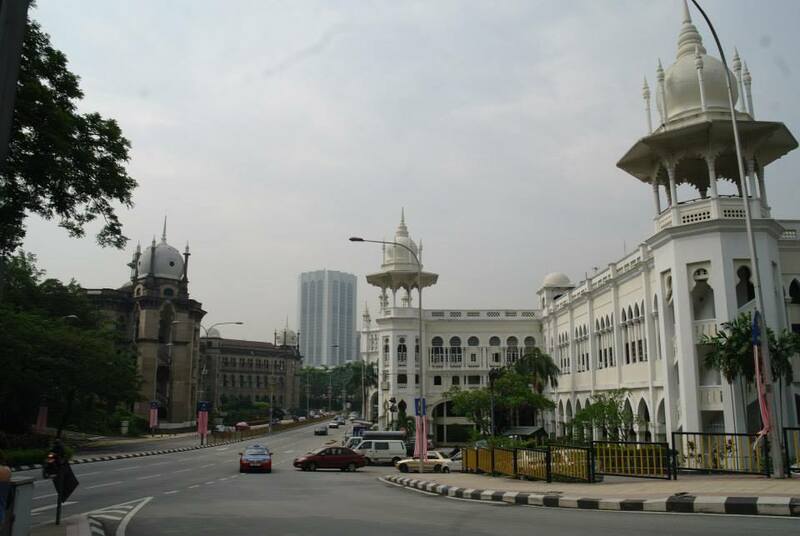 The area around the old Kuala Lumpur railway station has loads of interesting sites. The station itself is a really beautiful building, just across the road from the KTM building. 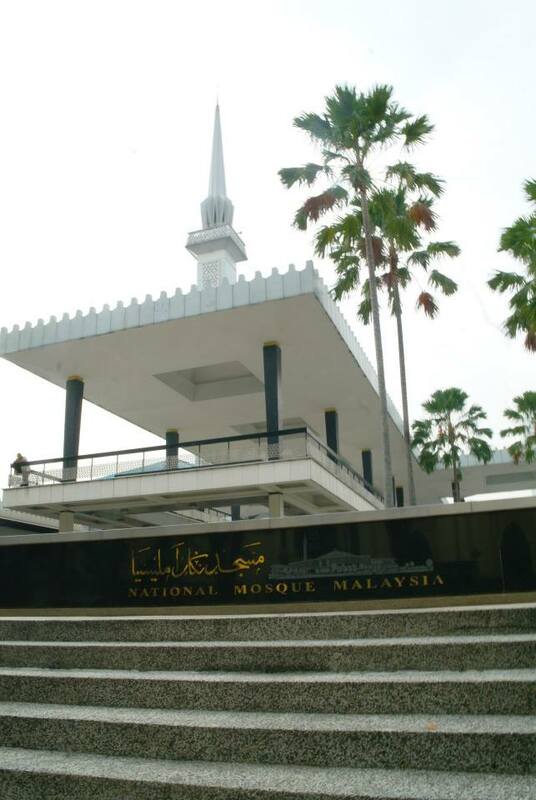 Also in that area is the National Mosque of Malaysia, Islamic Arts museum, a park, largest fly in aviary in the world, a planetarium, butterfly park, deer park, lake park so it’s a great place to spend the day. 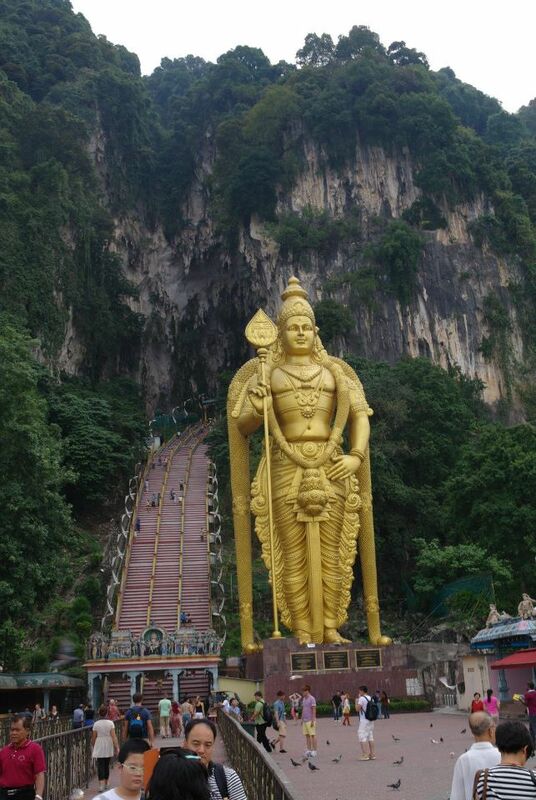 Of all the things I did in KL, Batu Caves was my highlight. A popular place to visit, the caves are served by their own Kommuter station which costs just 1 ringgit! Better is that the caves are literally right outside the station. It takes about 2-3 hours to do this and I recommend you do it in the afternoon when its a little cooler. The statue is impressive and the steps, there are just so many steps. They go on forever. I read that if you reach the top, you’ll be absolved of your sins. Worth it so. Apart from the many tourist things, the shopping in KL is amazing. 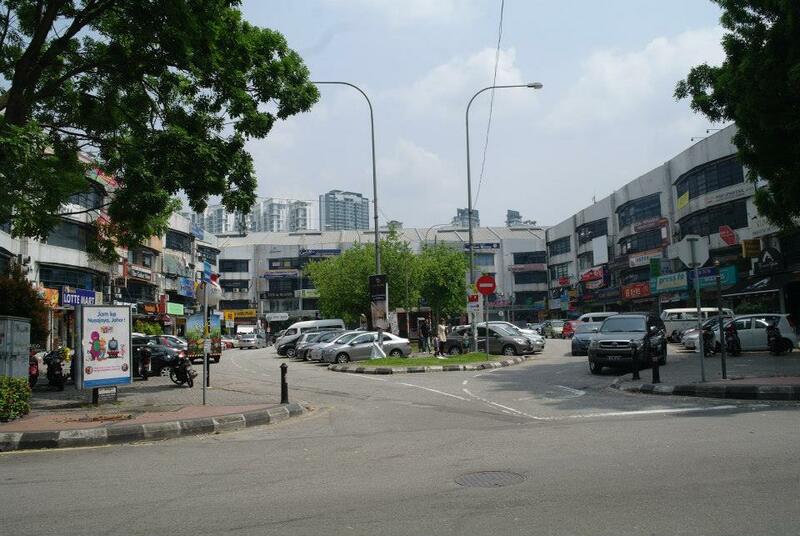 It takes a lot to impress me shopping wise but KL is a shoppers heaven. 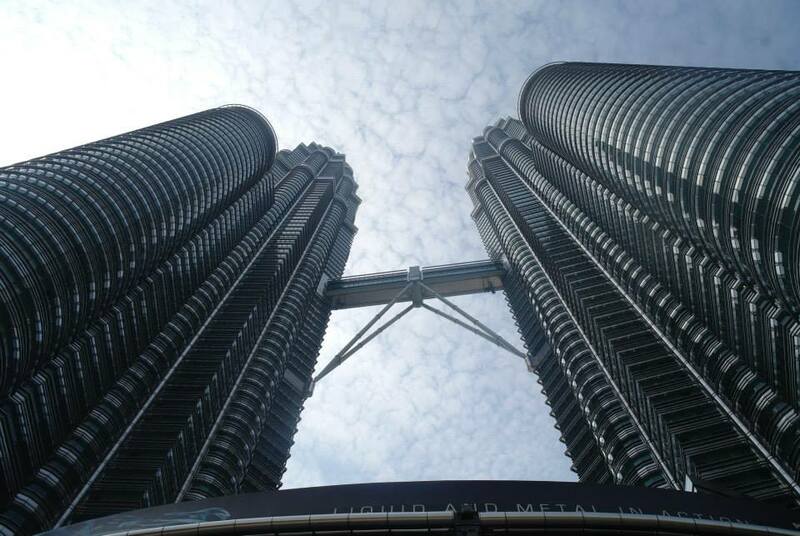 Under the towers is Suria mall which could keep you busy for an entire day. 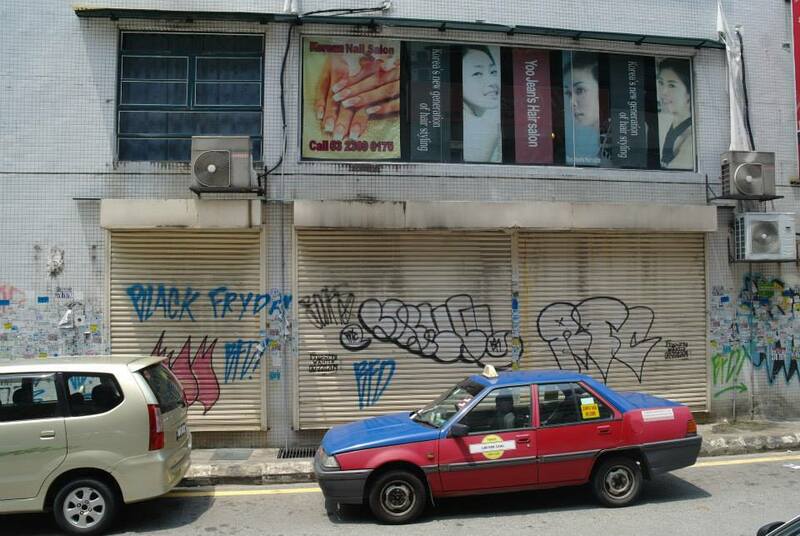 Also there is Pavilion, Farenheit, Central Market and Chinatown. Overall, it wasn’t the things I saw or did, it was the people I met along the way that made the trip. POD’s attracts a really great crowd and everyone in my dorm was so open and chatty and we spent lots of time sharing stories and experiences and the like. 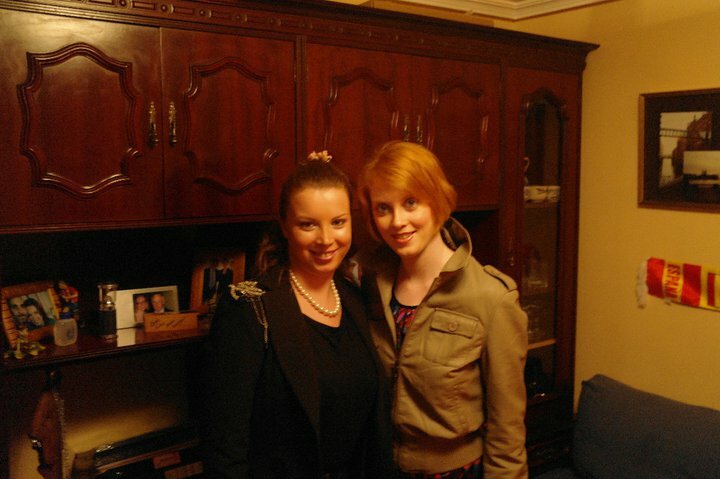 Or the guy on the subway who decked me as Irish and spent the journey giving me food tips and inquiring about Ireland. 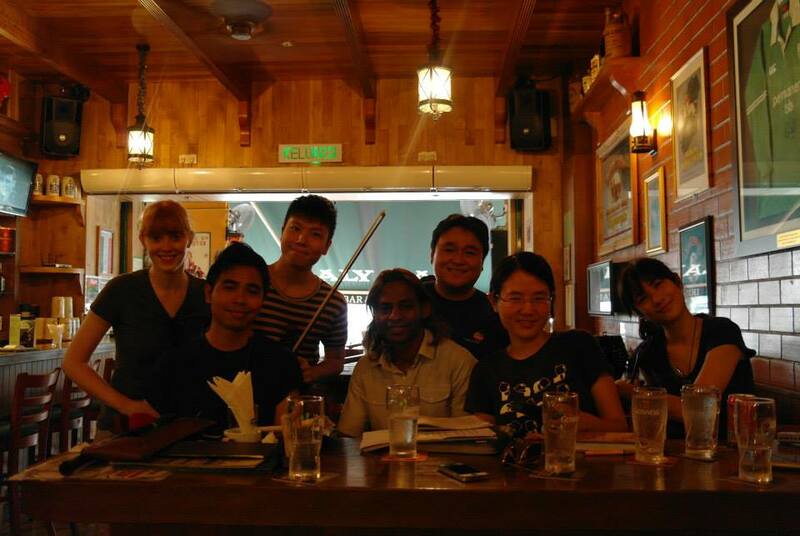 The people I played music with, the people I met in the street, all amazing characters who made my adventure memorable. 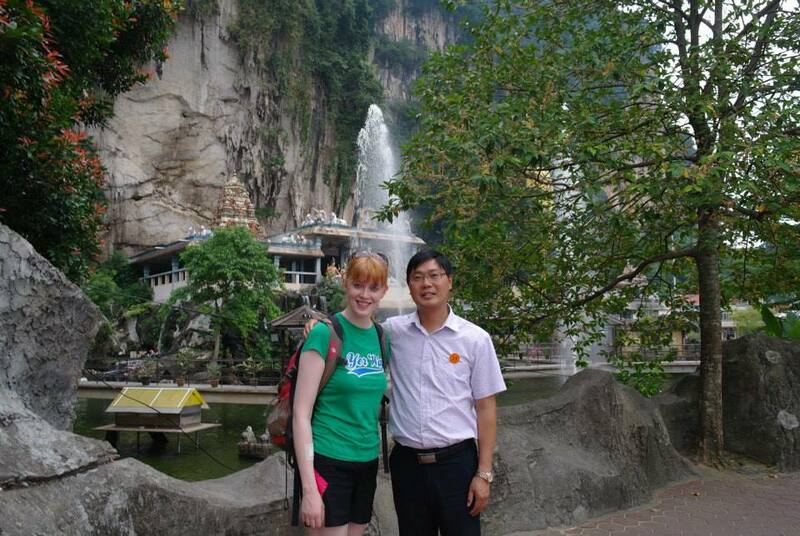 This is me and a Chinese guy who asked me for a picture at the Batu caves! 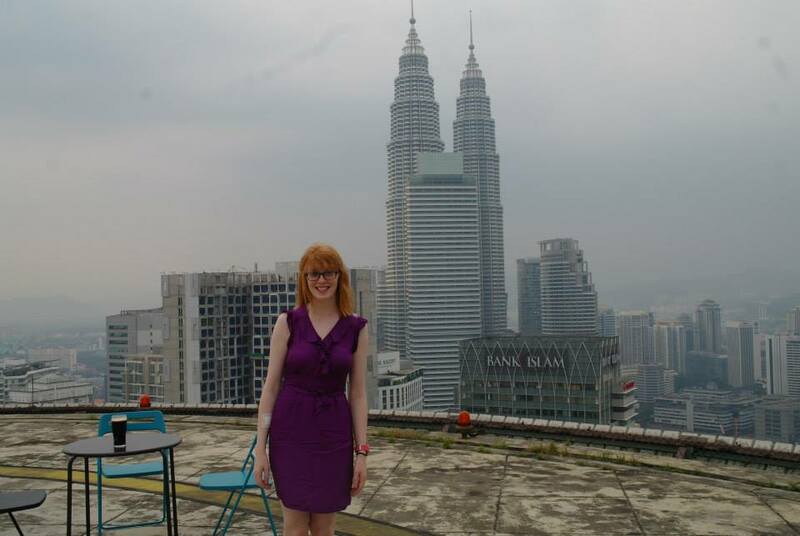 Tip: The week before I went, my friend Janet (http://janetnewenham.wordpress.com/) had been to KL and told me about Heli bar. It’s a bar on a helipad on the 36th floor of the Merara building. Summoning up my courage, I headed out for a drink, not entirely sure I would find it. Luckily enough, it’s super easy to find and the view from the top is amazing. 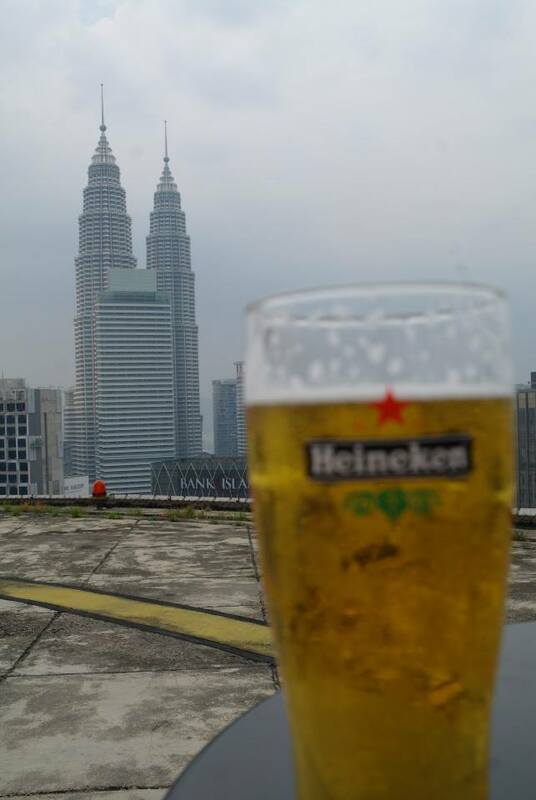 For 20 ringgit (drink), you can sit up top and enjoy an unrestricted view of the city. It’s a much better spend than the sky bridge or the KL Tower. Will I go back? Definitely and next time I’ll go further than KL. If you have any questions, just ask in the comments below! 1.Adaptor; I can’t tell you how many people I meet who completely forget to pack adaptor when they come. It’s an easy thing to forget but pack 1 or 2 international adaptors. If you’re American you’ll also need a surge protector which can be bought here. 2. Bath Towels; For some strange reason, Koreans don’t use big bath towels like we do. So it’s worth it to bring 2 of the biggest towels you can find with you. The smaller sizes you can buy here. 3. Swimsuit; Korea isn’t exactly known for its beaches but whether you go to a water park or Busan or just the pool, you’ll need a swimsuit. 4. Work Clothes & Shoes & underwear; Check what the dress code is like at your workplace. If it’s smart then bring enough work clothes from home. We don’t have Dunnes Stores or Pennys here so it’ll be worth it. If you’ve got larger feet, bring enough shoes for every occasion, summer, pair of boots for winter, school shoes, indoor shoes, going out shoes. If you’ve got an unusual bra size you should bring enough with you when you come. Same with regular underwear. You can get it here of course but it’s just not the same……. 5. Brown Mascara & other beauty products; It is very difficult to find brown mascara in Korea so if you use it, bring it with you. If you have colored hair and use a special shampoo, you might want to bring this with you also. The water here can strip your color easily. For the men, good quality shaving products like aftershave. There is a poor variety here and they are expensive. For the women,quality perfume. If you wear Viktor and Rolf, YSL Cinema or anything other than Chanel, Dior, Burberry or a few other big names, bring it with you. And deodorant. Yes you can get spray deodorant here but its a good idea to bring stick with you because that’s harder to find (but still available) Either way a bring enough to last you a while. The last thing is Colgate. You can get it here but so many people responded on my Facebook post by saying you should bring it. A happy medium is to bring one or 2 tubes of Colgate toothpaste with you and buy it here when it runs out. 6. Things from home; Everyone has a bad day here. It happens. It’s a good idea to bring a few pictures or something from home that you love. 7. Food and Drink; The all important one. Remember all food and drink only lasts as long as it takes you to eat them. Might be a good idea to bring seeds for herbs, Colmans mustard, Lea and Perrins, chilli powder. Cadbury’s chocolate to keep you going for the first while. 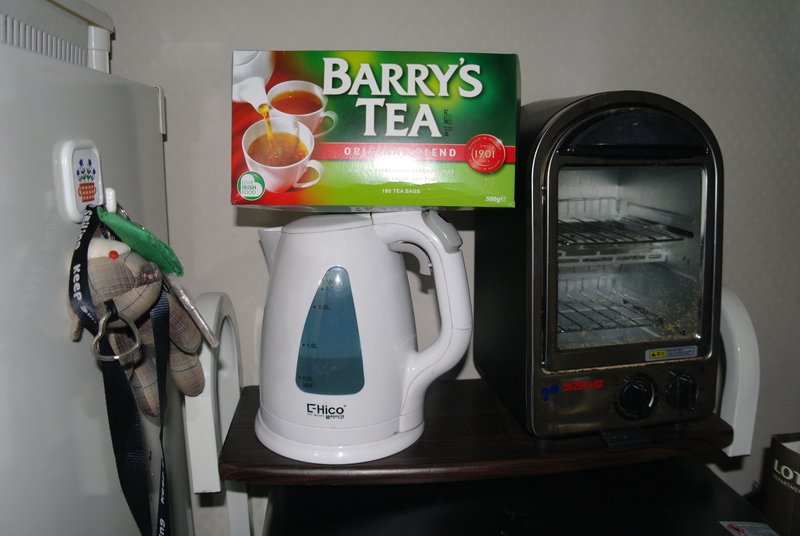 And of course Barry’s Tea. You can never have too many tea bags. But remember chocolate and tea and technically all foodstuffs can be sent over easily so don’t take up too much room packing food! Also stock up on duty free liquor like Jameson and the like, only the major brands can be found here. 8. Musical /sporting goods; If you’re Irish and you play music, you should bring your instrument. 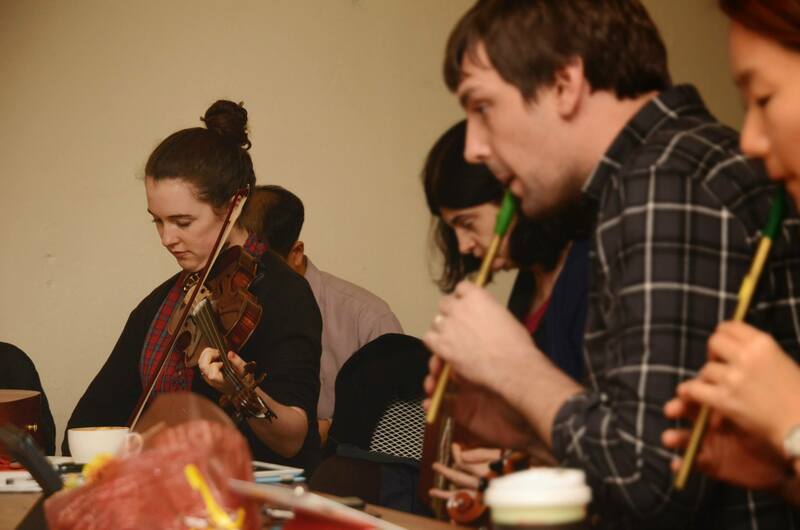 Irish music is getting stronger in Seoul so there’s no reason not to keep playing. That goes for other musicians also. Same goes with sports. If you play gaelic or hurling bring your gear with you so you can continue to play in Korea. 9. A good attitude; Coming to Korea isn’t going to be a walk in the park everyday. 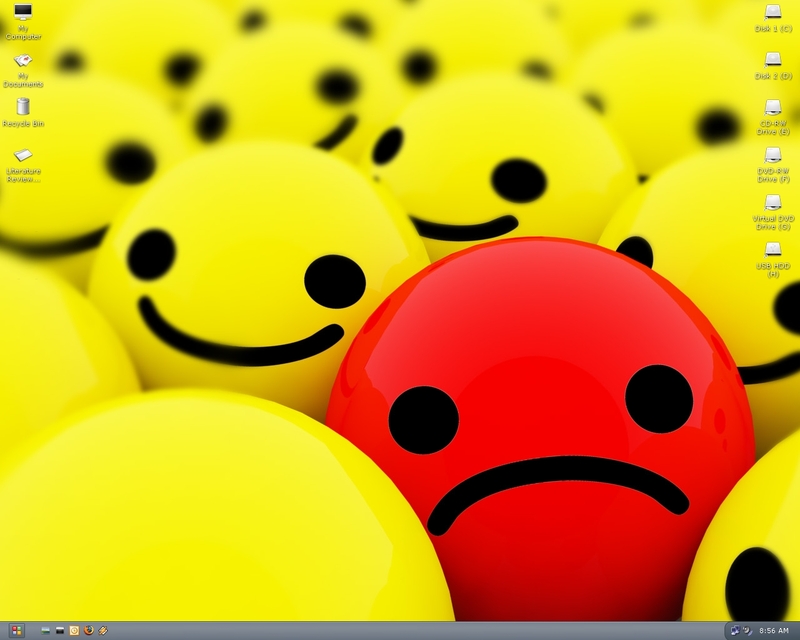 Life is different here. Come with a good attitude and an open mind and it’ll make things easier. Even the most random experiences here are all part of the adventure…………..
As ever a huge thanks to everyone who helped contribute to this post via my facebook page.